I really wasn’t motivated to make this purchase because of the various health claims I’ve run across. I tend to take most of these with a grain of salt anyways, but there are a couple of issues worth noting. First, coconut oil remains stable at fairly high temperatures and thus does not oxidize or breakdown as quickly as other vegetable oils. This means that, not only can it last longer before going rancid (up to two years, I gather) but it forms fewer of the chemical free-radicals that are so damaging to the body. You should also note that, while Coconut Oil is often as sold as ‘Virgin’ or ‘Extra Virgin’, these have no industry standards defining them (as does Olive oil), but the claim to virginity (if you will) should generally mean that the oil is extracted by cold-pressing and has not been hydrogenated, a process that produces the very dangerous trans-fats we should all avoid. 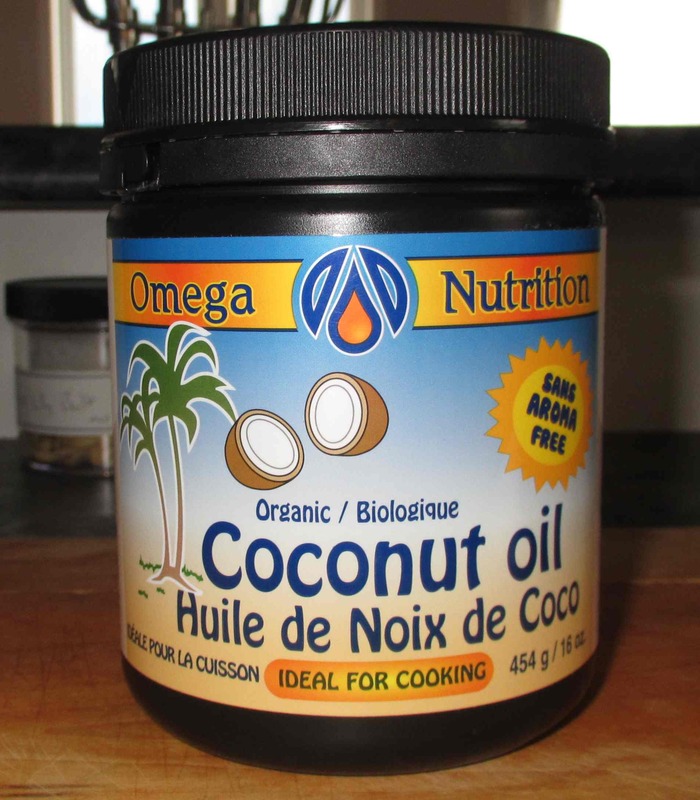 I have read that it is almost not possible to buy hydrogenated coconut oil as a food product in North America (although it is possible overseas) but it is worthwhile checking anyway. The jar I bought for this post clearly states that it is non-hydrogenated on the label. The ‘oil’, as you can see, is actually solid. It is a very pure white and has a rather crumbly, waxy consistency. The taste experience when cold is not, as you might imagine, especially appealing. It is, after all, basically a lard and, as such, it has the same rather greasy, somewhat neutral fat taste as any common shortening. The mouth-feel has a bit of a granularity to it, and a waxiness, but, as far as I could tell, there was no hint of what one would think of as a coconut flavor at all. 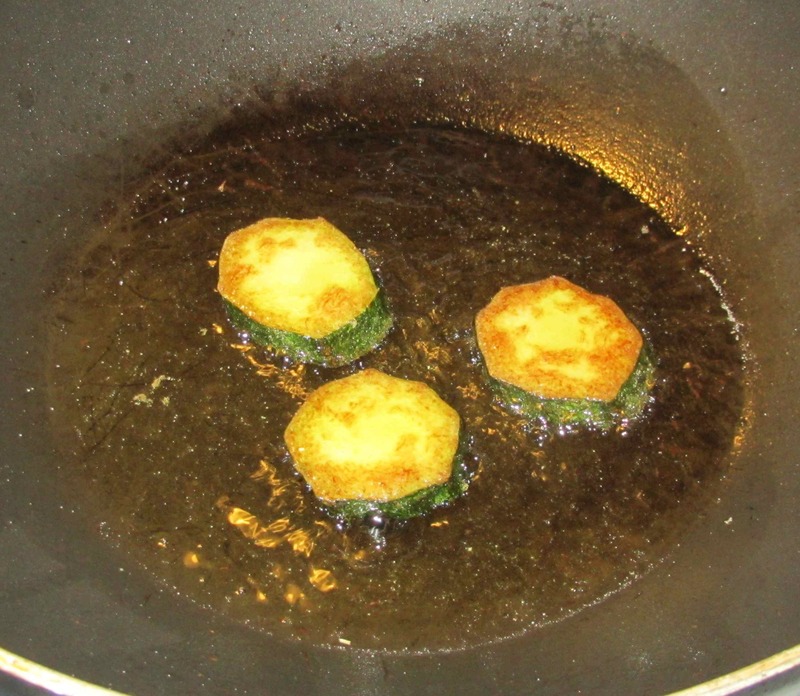 In order to give the oil a cooking test, I decided to fry a few slices of eggplant in it as this vegetable has a tendency to absorb a lot of fat during cooking. Unfortunately, I couldn’t find any in our store, so I chose zucchini instead as it has a similar consistency and absorbency. I dusted a few slices with a little rice flour and briefly sautéed them over medium heat using a couple of tablespoons of the coconut oil. The cooking process was unremarkable. After the sections were done I blotted them with paper-towel, sprinkled on a little salt and they were delicious. If the coconut oil contributed anything to the flavor at all, though, I couldn’t detect anything special. 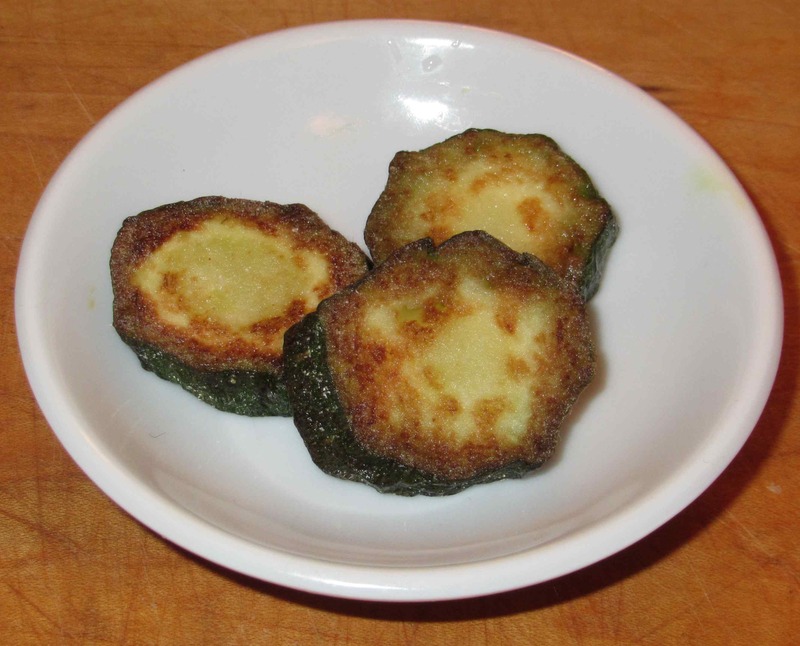 All I could taste was the very pleasant freshness of the zucchini itself. I just bought a jar (for even more money than you spent) but haven’t opened it yet. I’ll have to give it a try. I bought mine at Trader Joe . The taste has good effect on the food . Try some other brands. You may find something better. I use very little for frying. Therefore it is not costly to me! I don’t recall using this oil in Panama. We use the milk, wich has a large amount of fat, for cooking rice, fish and some veggies. And the coconut flavor is very present in these dishes. We use the milk quite a bit. My wife generally hates anything with a coconut flavour… especially sweets, but she likes using coconut milk. You could always add brown sugar and natural oils to it and turn it into a body scrub! I’ve tried both refined and unrefined virgin coconut oil and found that the unrefined stuff tastes and smells more like coconut (although the taste and smell are quite mild). It works great both in baking and as a skin moisturizer (it’s remarkably ungreasy once you rub it into your skin). I also use it to grease the pan when I make pancakes and french toast. I think coconut oil tastes horrible, but it’s perfect for my skin! I use it as lotion daily. A little goes a long way, and it’s great for those with sensitive skin (like me). 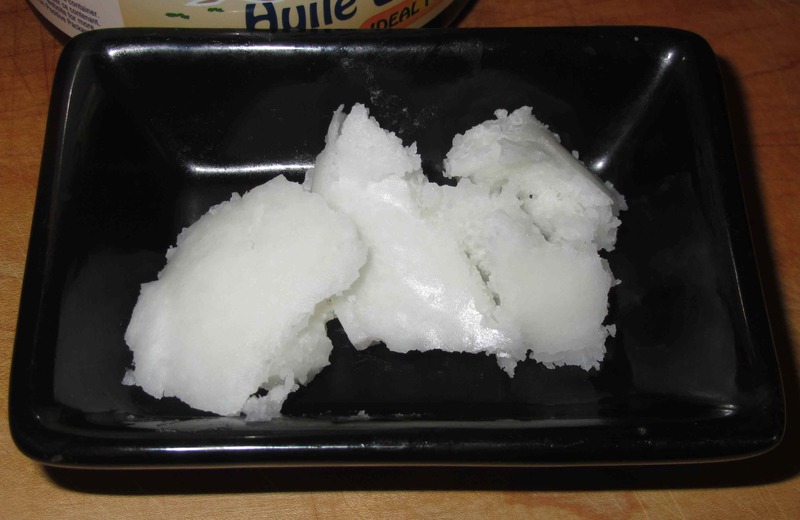 goat mil with a little coconut oil is an interesting idea! We buy oil that organic the kind we get tastes a lil like coconut. not sure what the difference is maybe yours in more pure, maybe just the brand…but anyway. We use goat milk becasue we are lactose, and since coconut milk is expensive (just like the oil) we opt for only buying one….the oil. We use the lightly flavored oil with the milk to add substance to “faux currries” chocolates, smoothies, even oatmeal and berries. Not sure yours will have the same affect as mine if its not flavored at all but i guess you could try. I had a jar in the fridge for ages and never got to cooking with it as I wasn’t sure if it would make everything taste of coconut – so I used it on my skin – can recommend it for dry skin!! Now I have seen it in practice I may try it again for cooking this time as health benefits very good in terms of fewer ‘Free Radicals’ from a more stable oil when cooked. The jar I bought recommends adding it to your hair as a conditioner – just slather some on for several minutes before you shower & shampoo. I actually haven’t tried it in any cooking recipes, I use it mostly as a really good skin moisturizer and it’s wonderful! I use it as a moisturizer – like others have said, it really is very good for that!